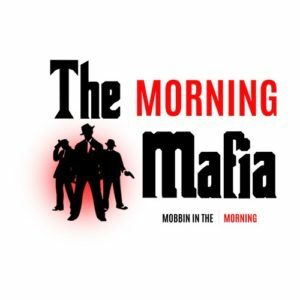 Waking up to a regular morning show is one thing, but what’s it like when The Morning Mafia is blaring through your speakers at 8:00 in the AM? Well you’ll just have to tune in to find out! Every Wednesday morning wake up with to your Coffee Talk w. Stefanne, Traffic Updates w. the Morning Mess, Get Motivated with Treat Yo Self, Tinderness w. Tim and hear who’s sleeping with the fishes on after being put on D.J.T.s Hit list. The Morning Mafia, Mobbin EARLY in the morning. What do you hate that people do in the morning? What is something you HATE doing in the morning? Why do professors treat students like we don’t pay their bills? This week we will dedicate an episode to discussing why students don’t get the respect they deserve on campus/ in life from people who are superior? Personal perspectives on how some students cross the line when it comes to respect. This week we will debate about double standards in men/women, how we see it on campus if any and workplaces.